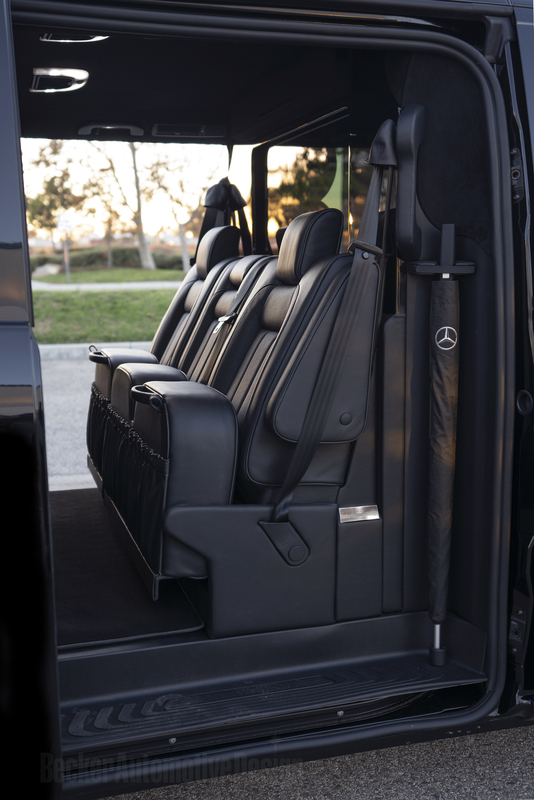 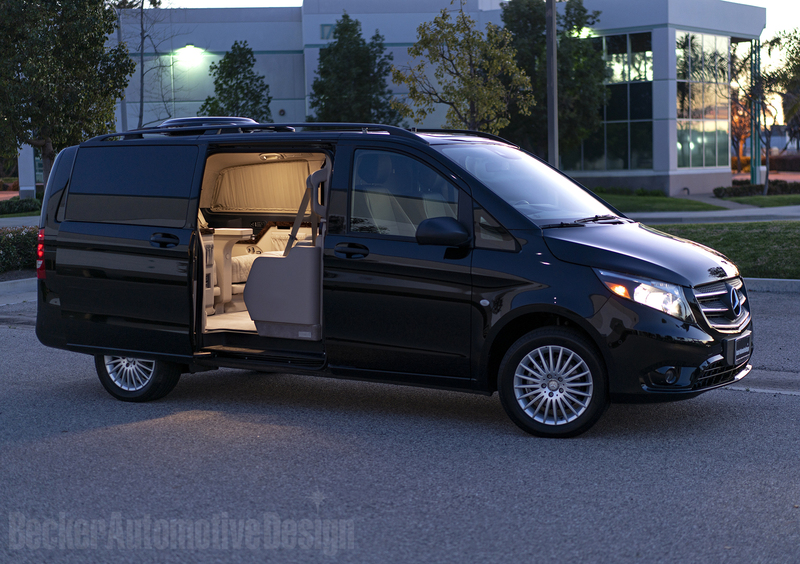 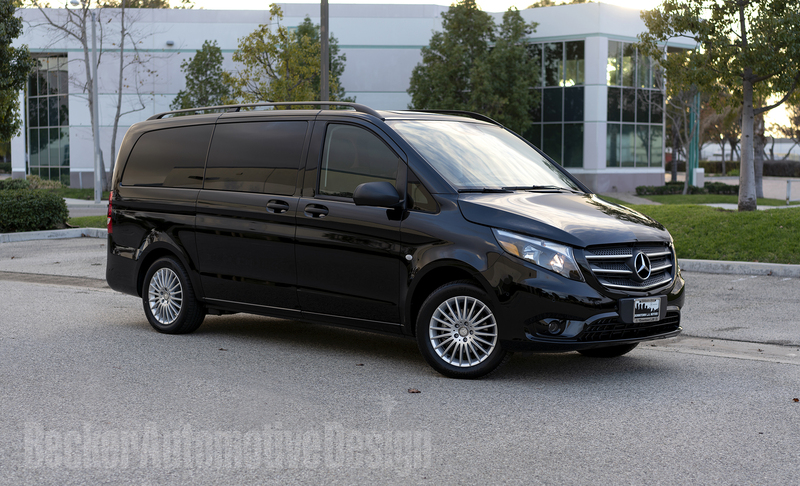 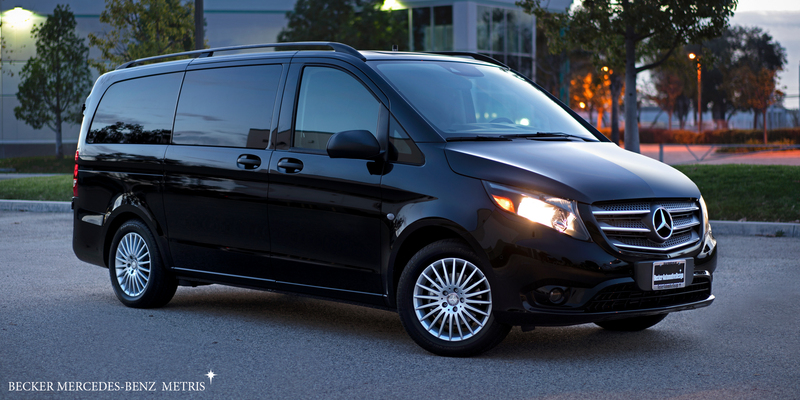 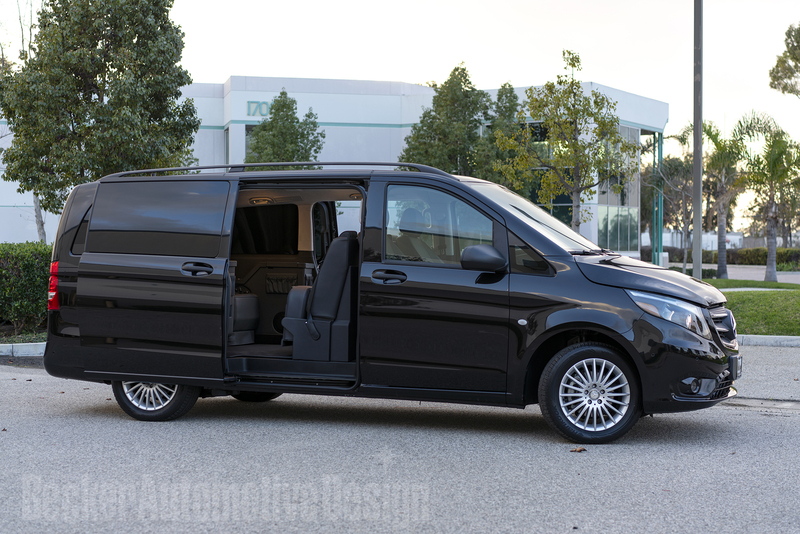 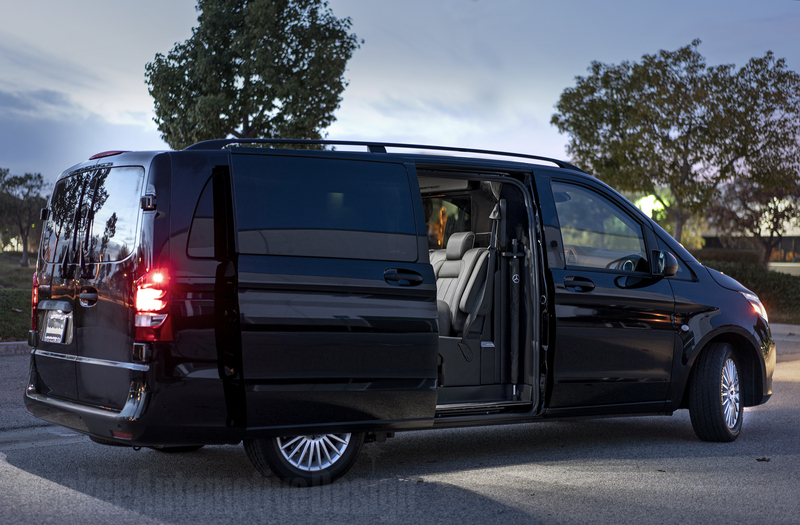 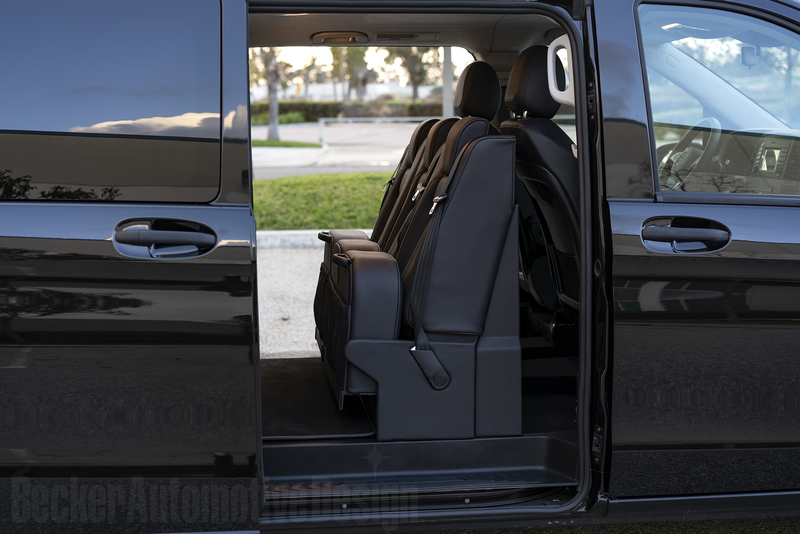 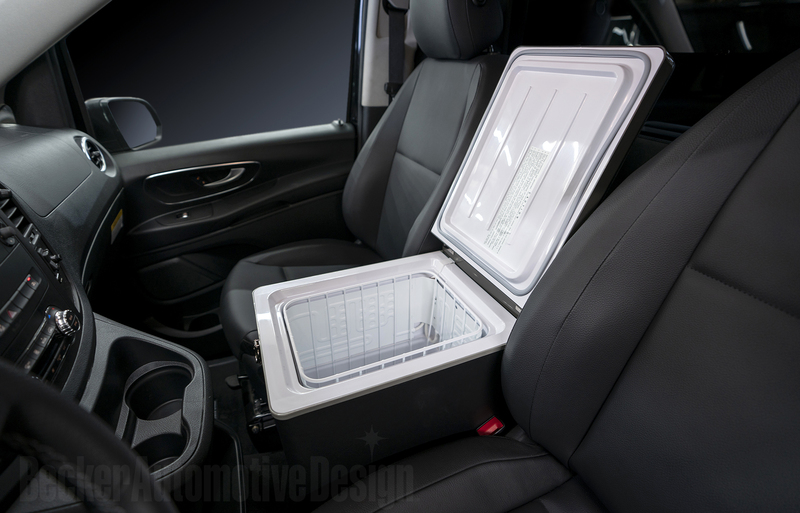 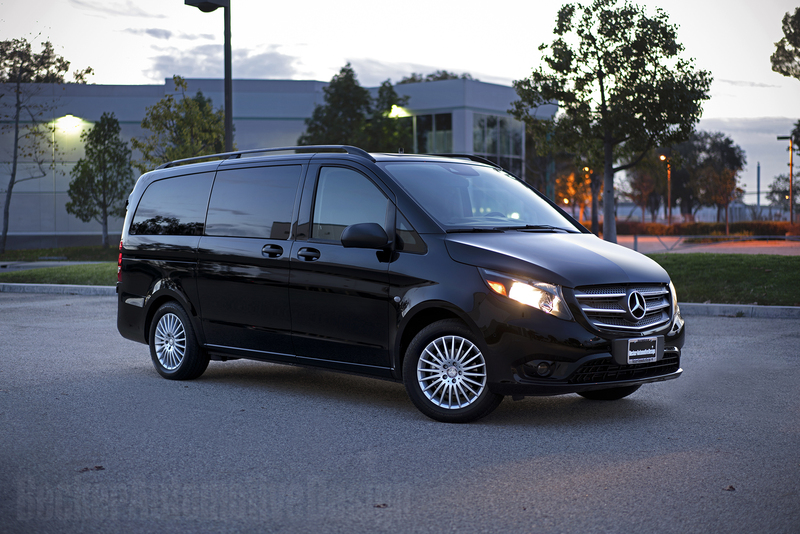 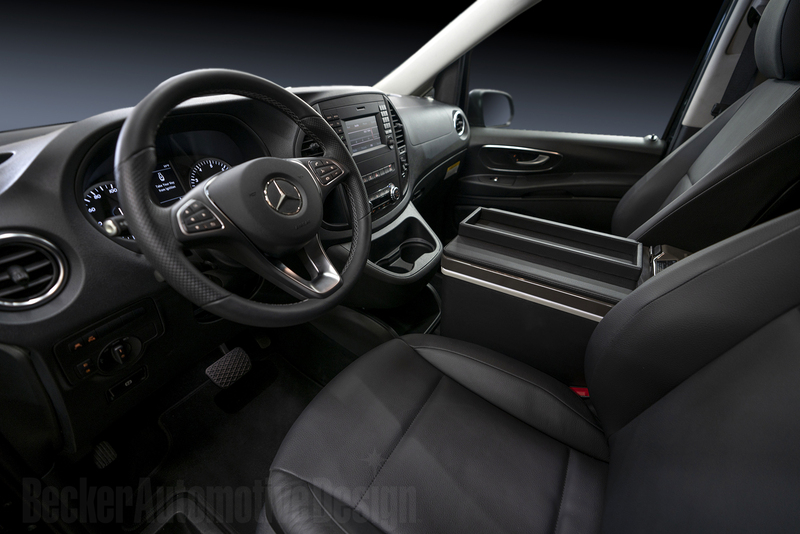 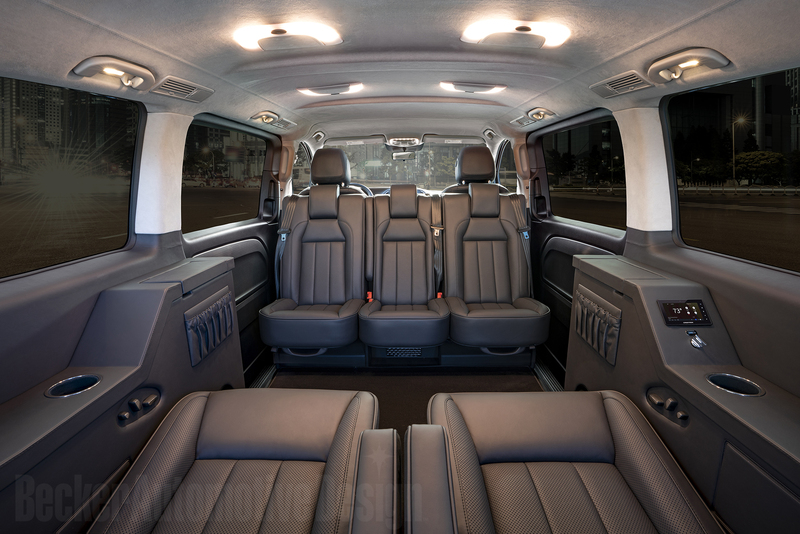 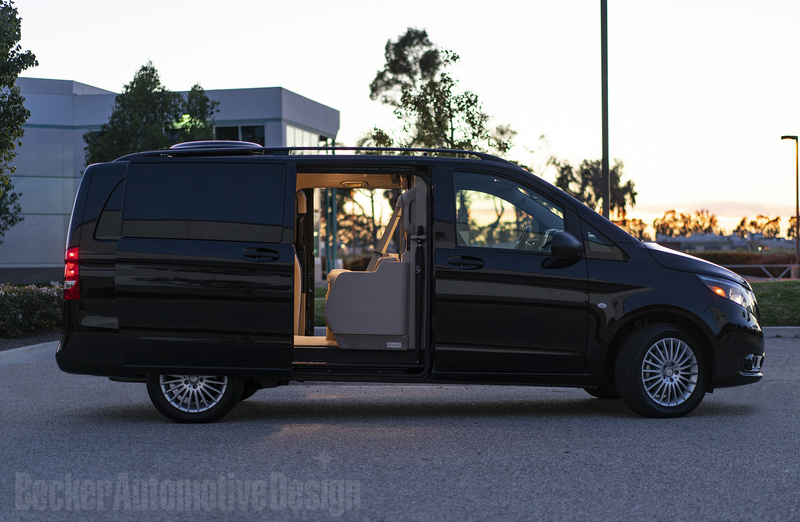 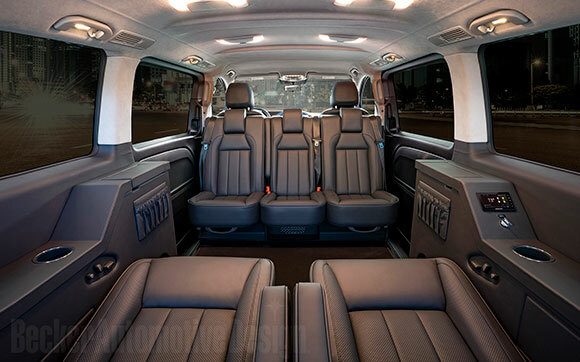 The new Becker Mercedes-Benz Metris van is ultra discrete, fits under almost all parking garages and comfortably seats up to 5 adults in rear cabin privacy. 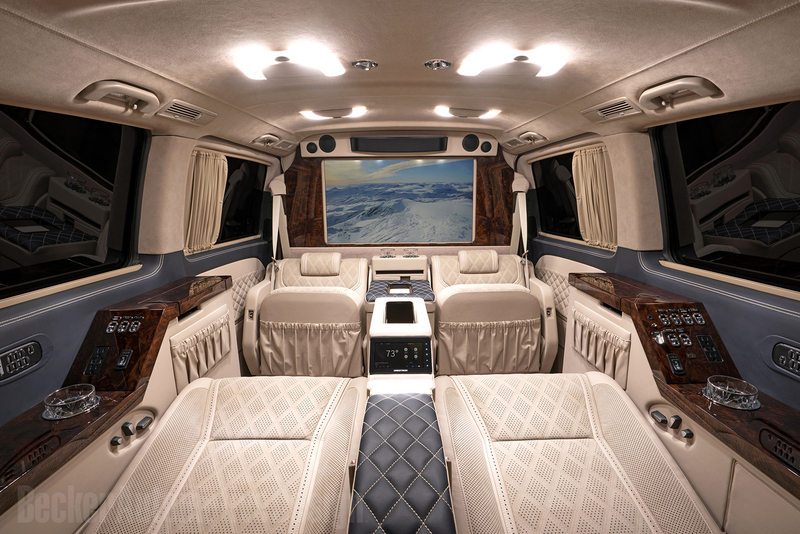 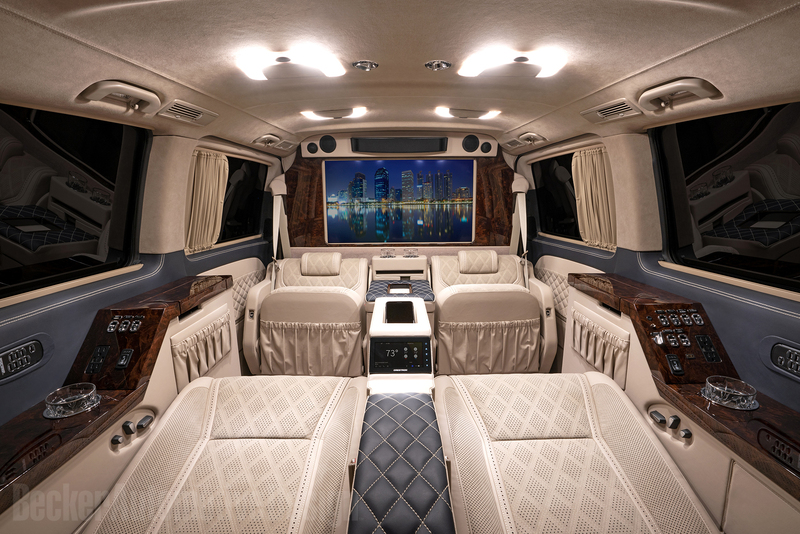 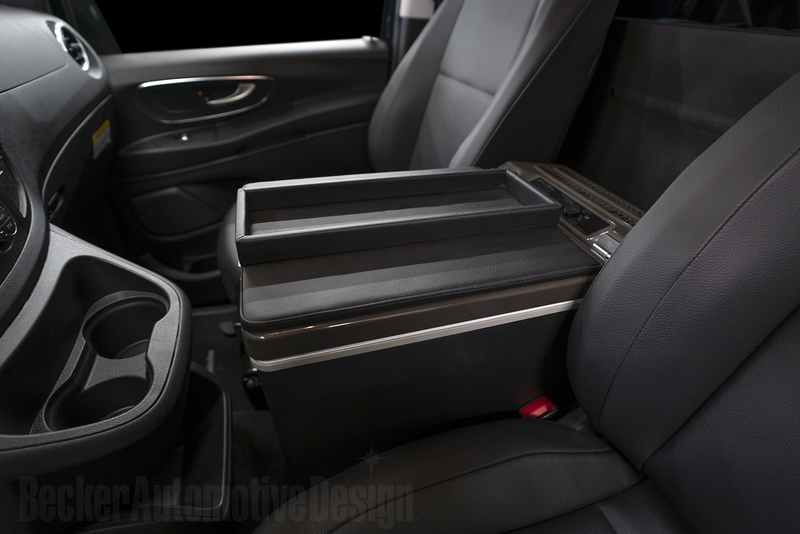 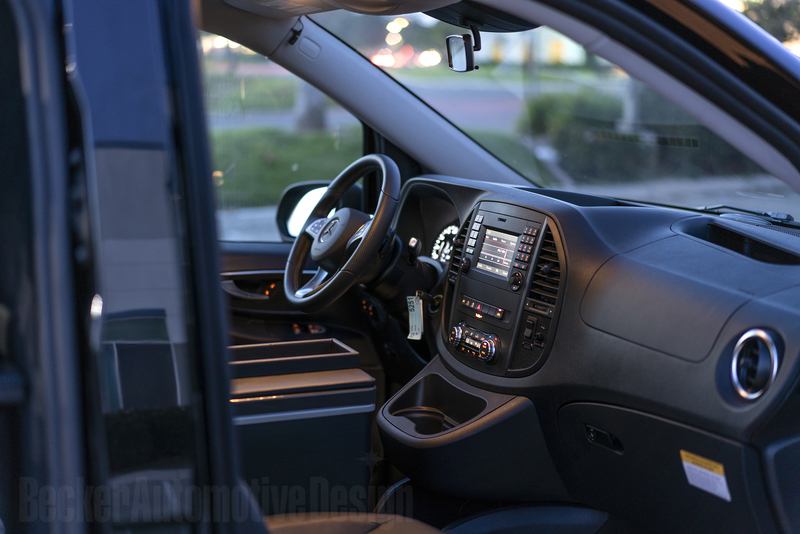 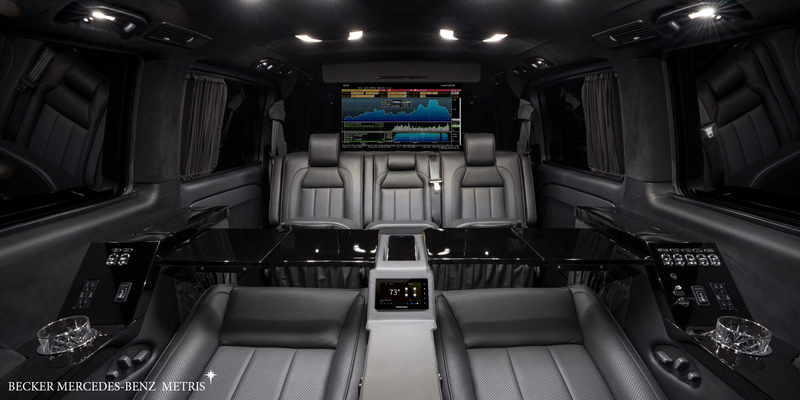 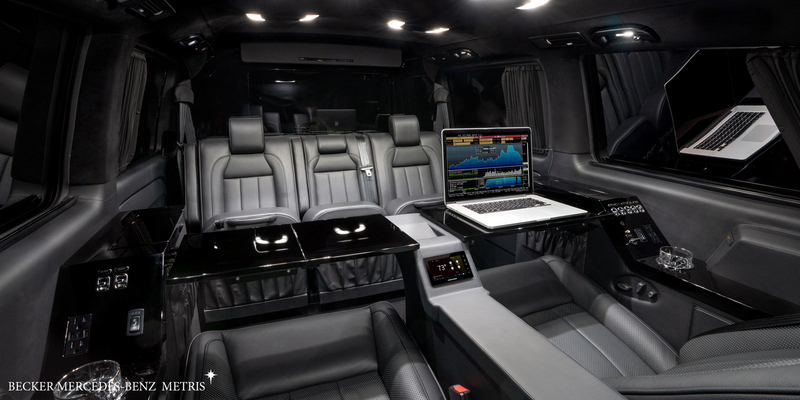 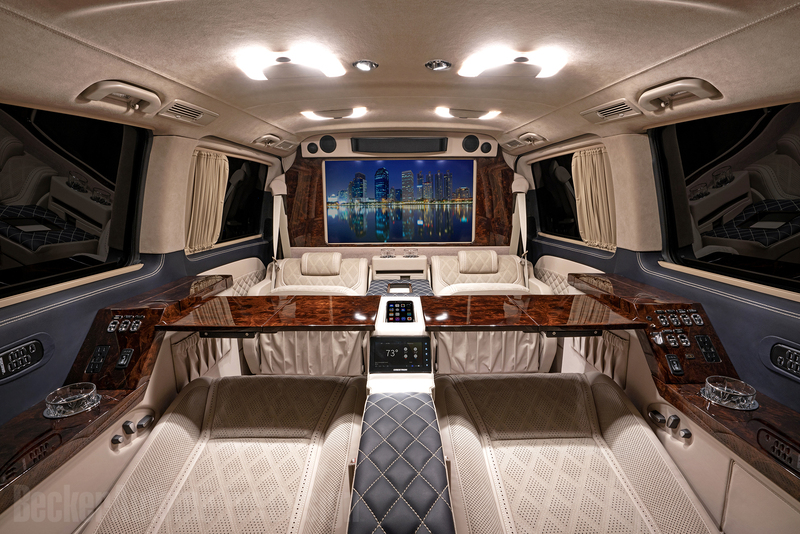 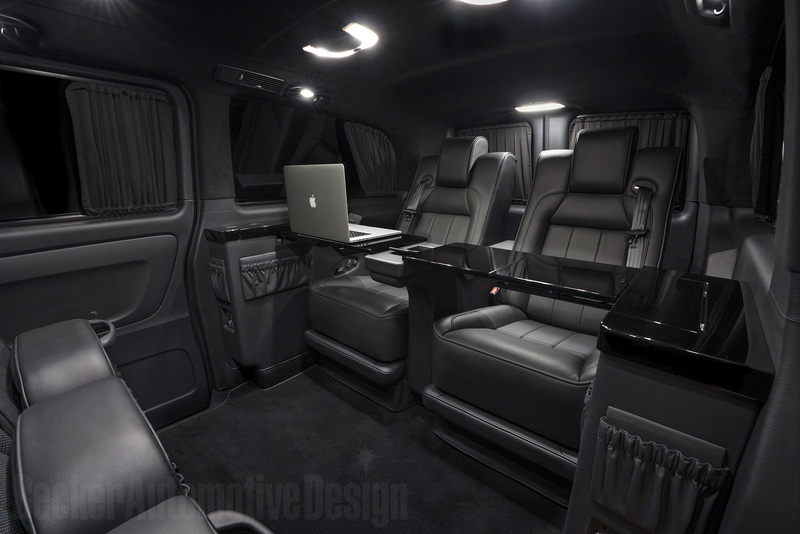 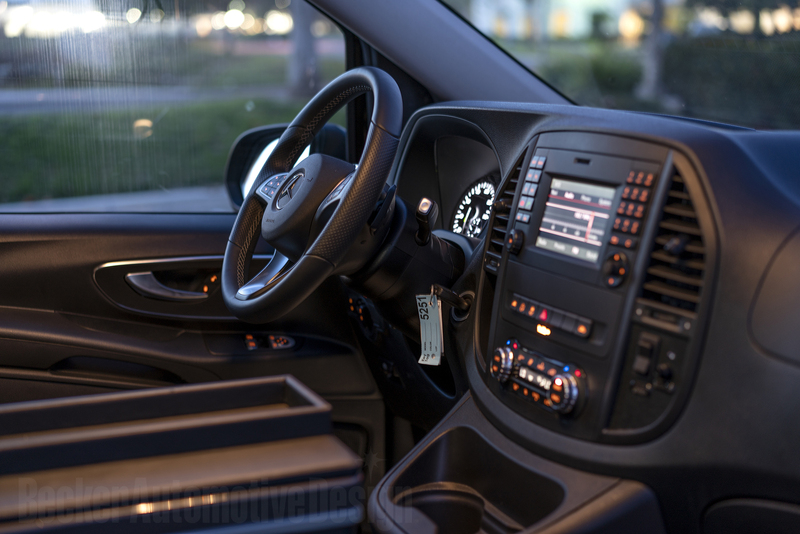 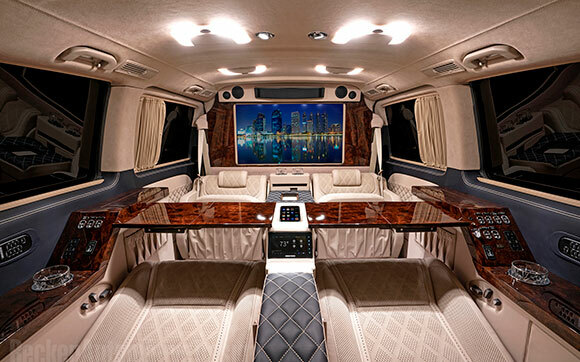 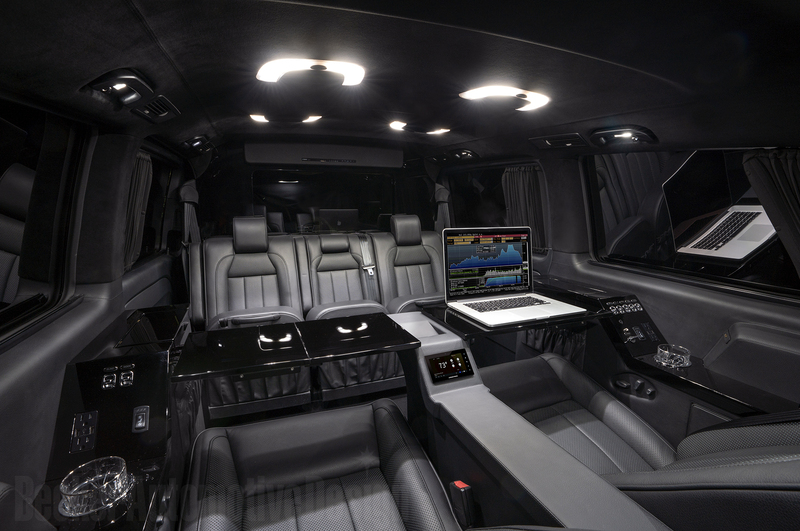 Our mobile office and entertainment capabilities abound. 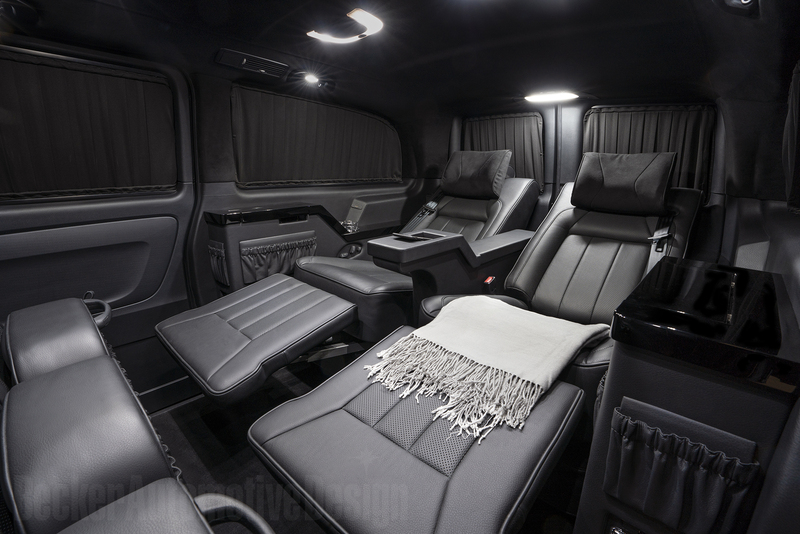 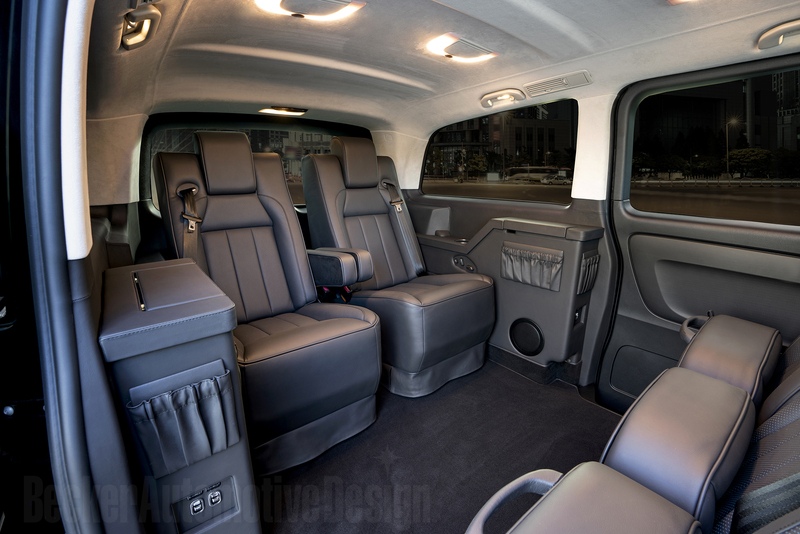 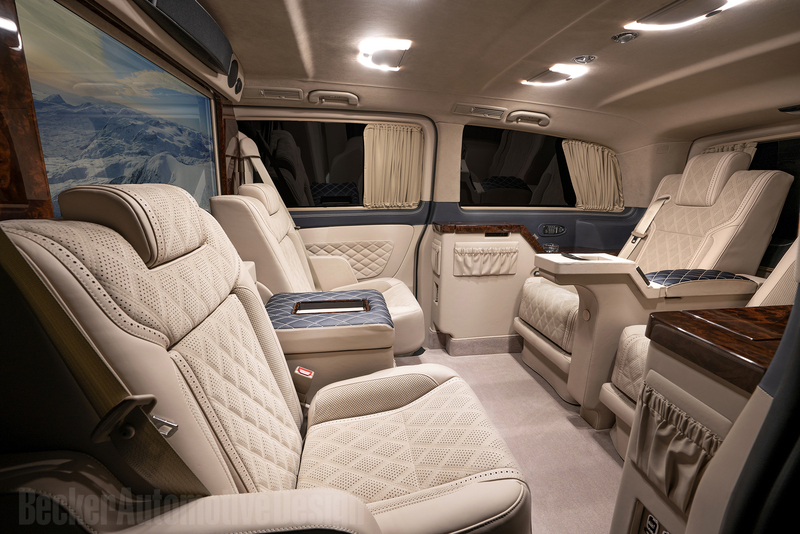 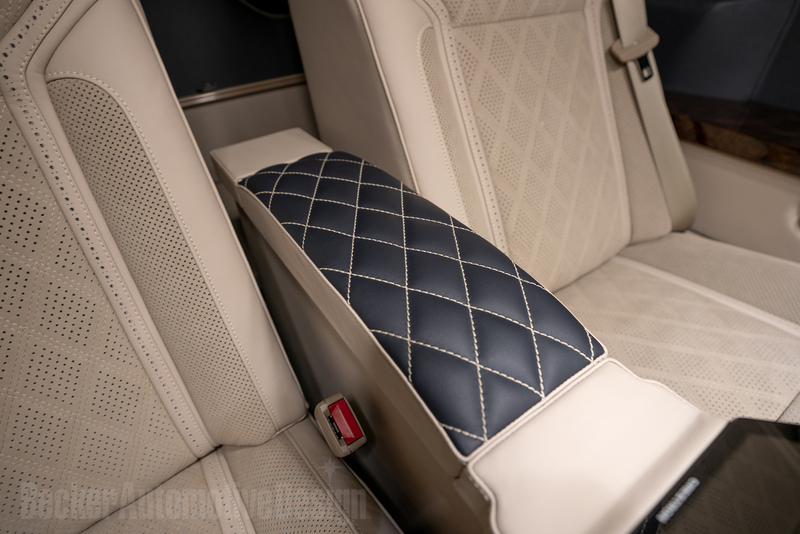 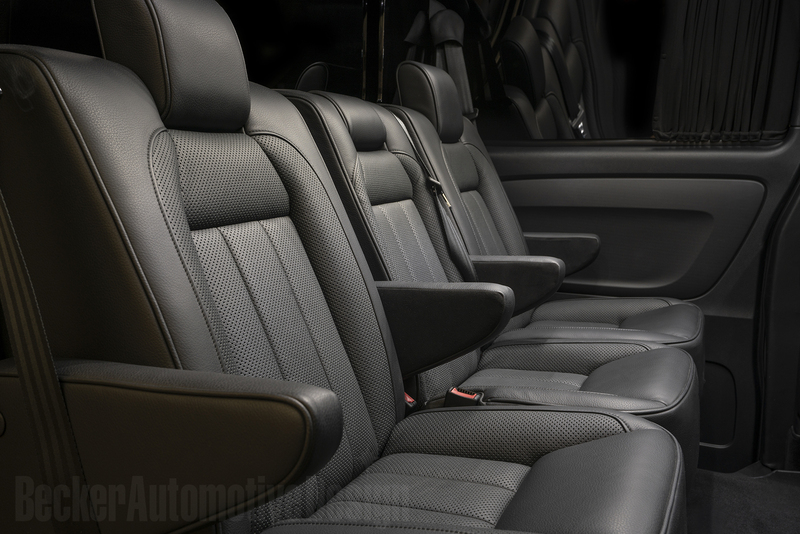 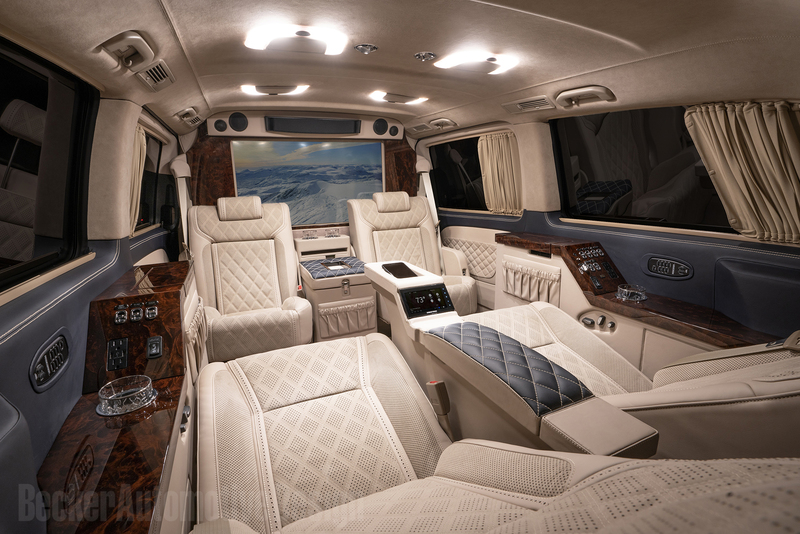 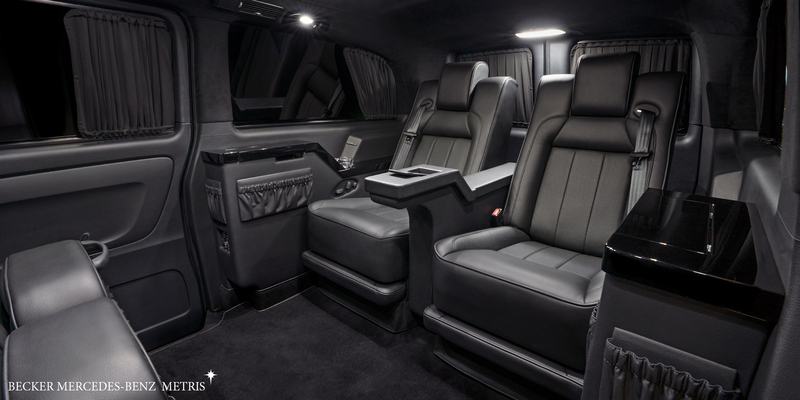 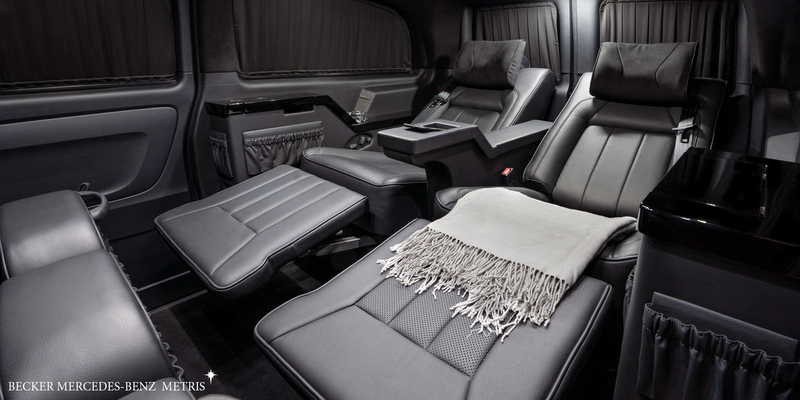 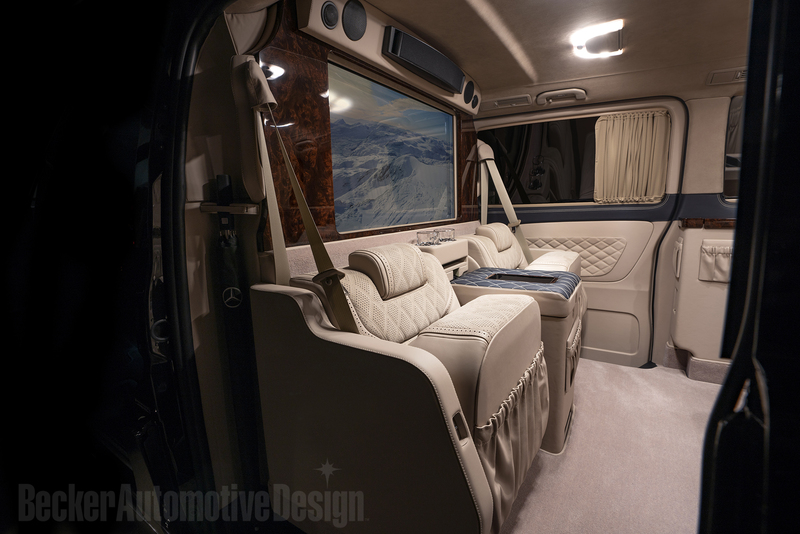 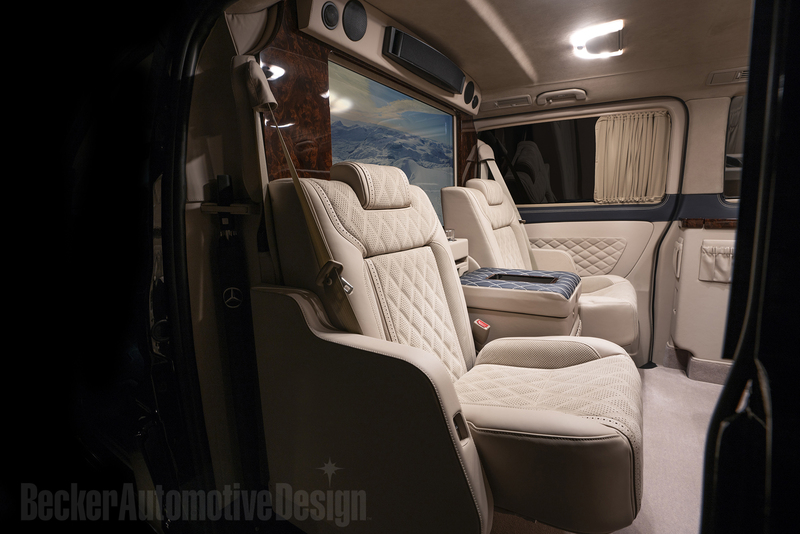 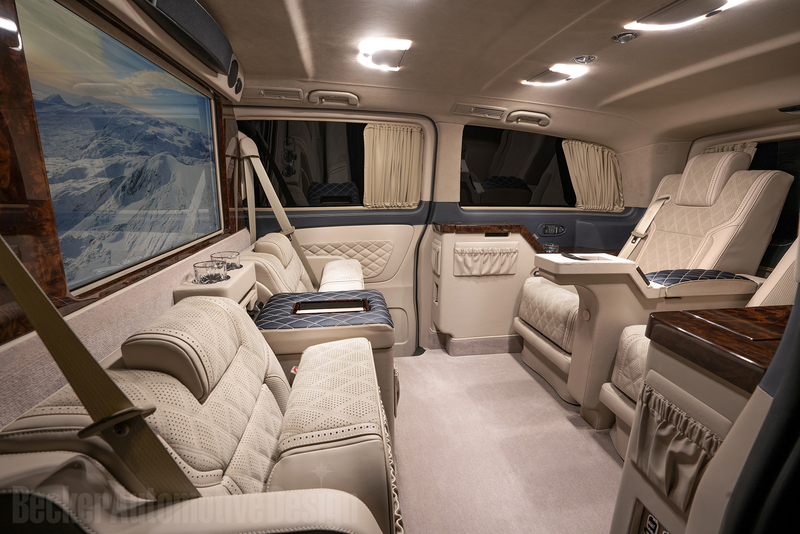 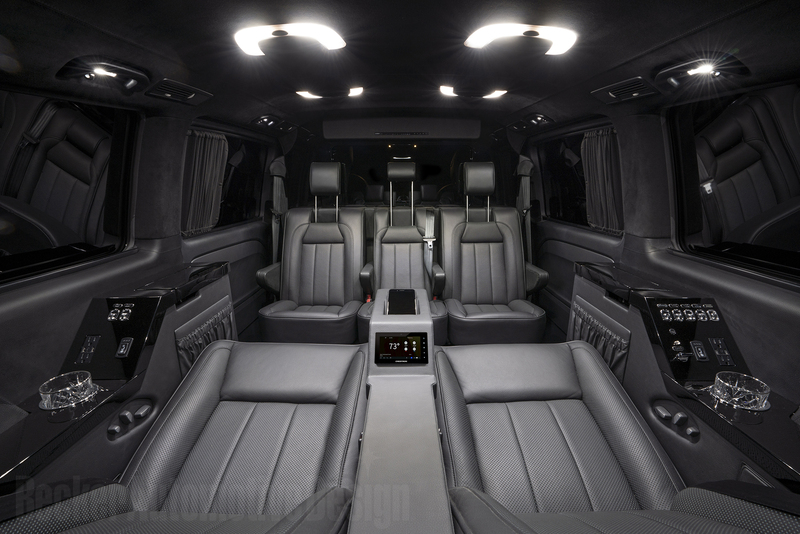 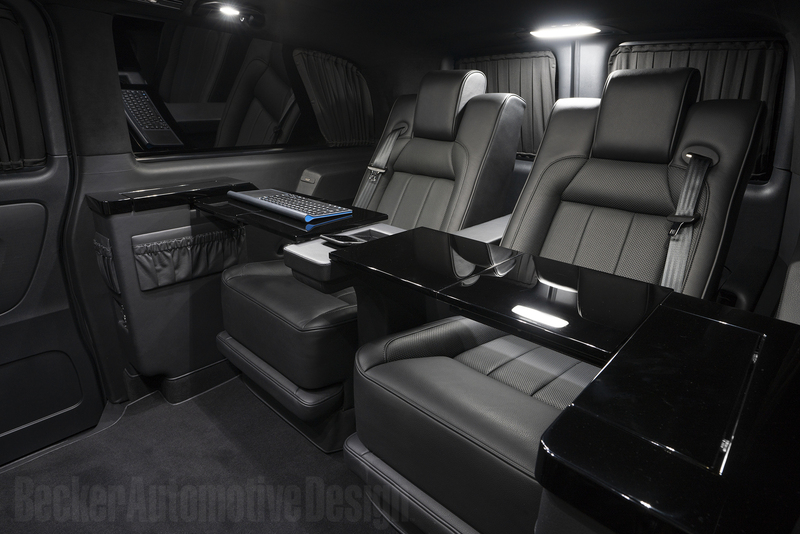 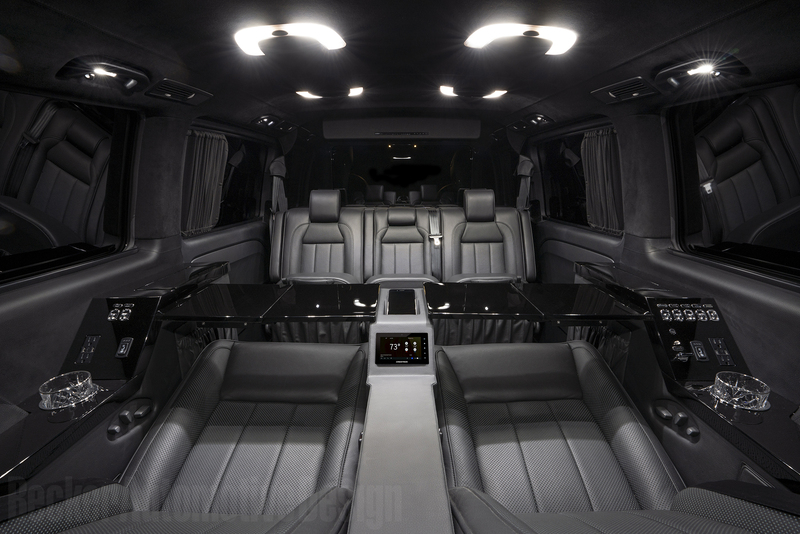 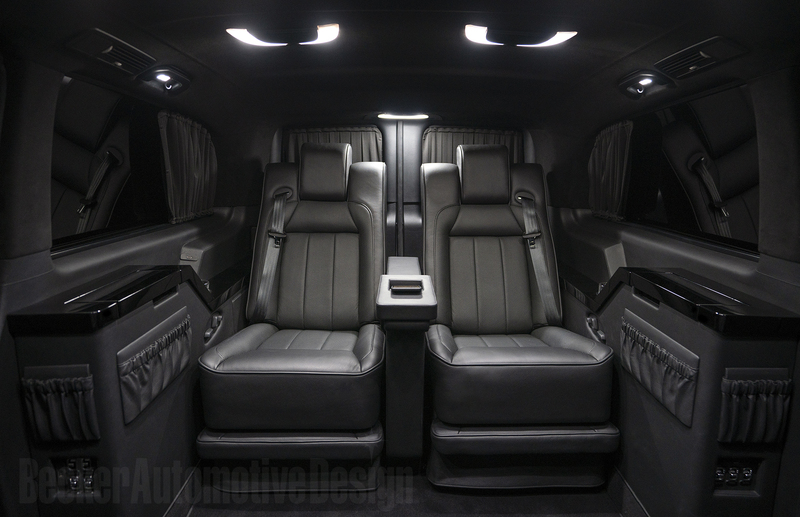 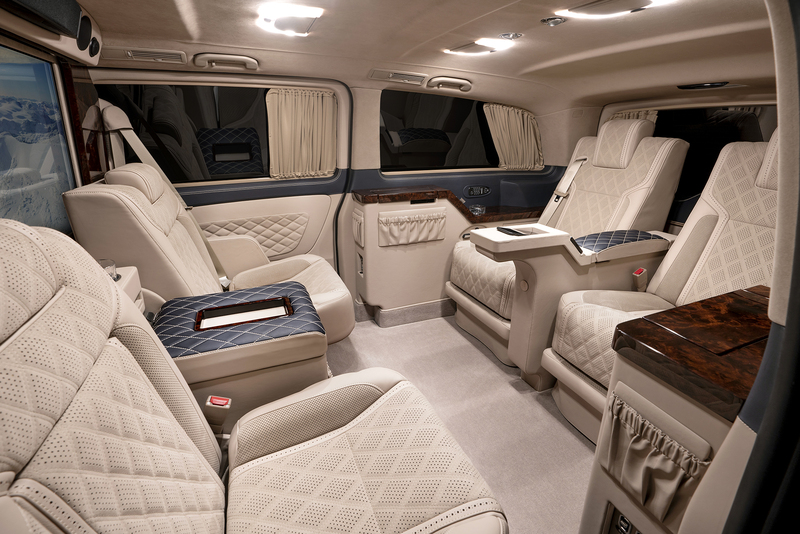 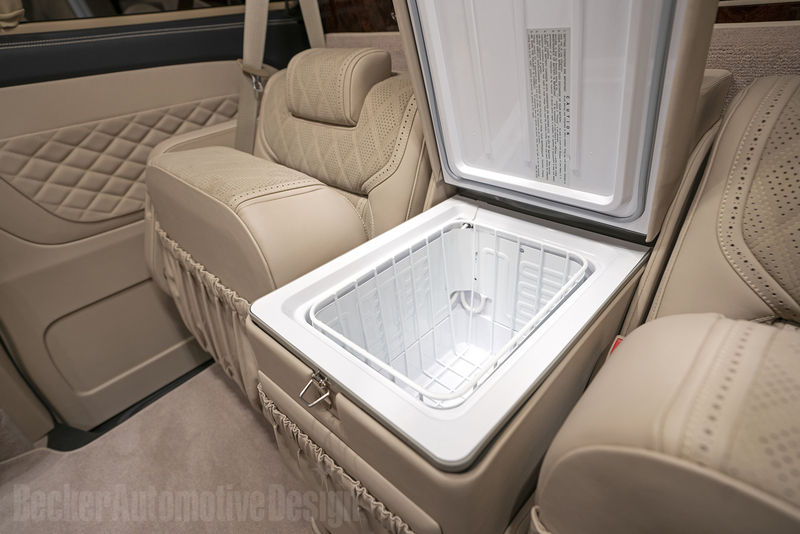 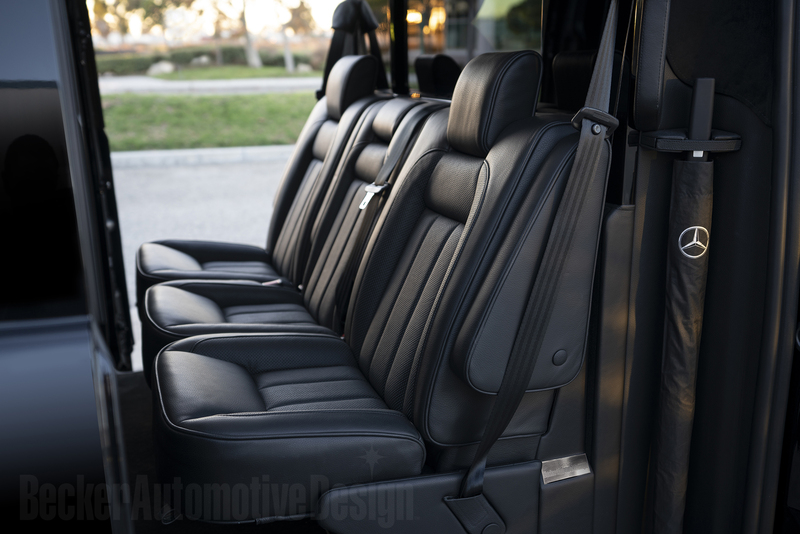 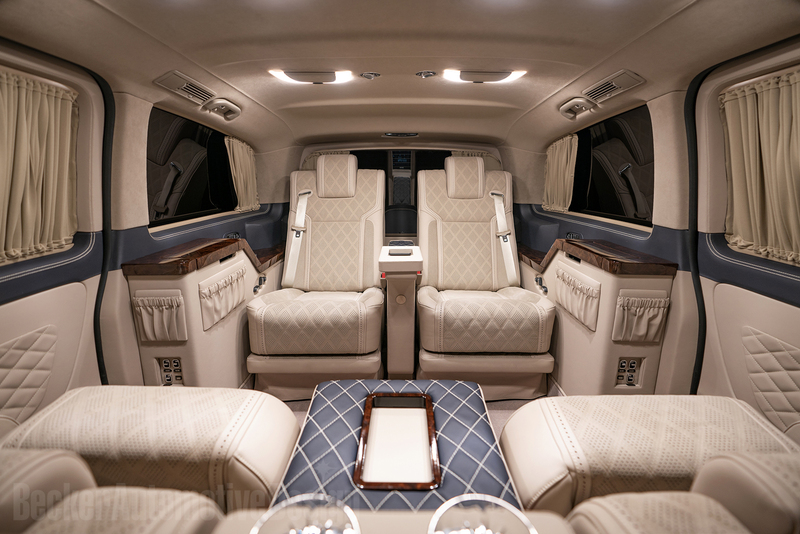 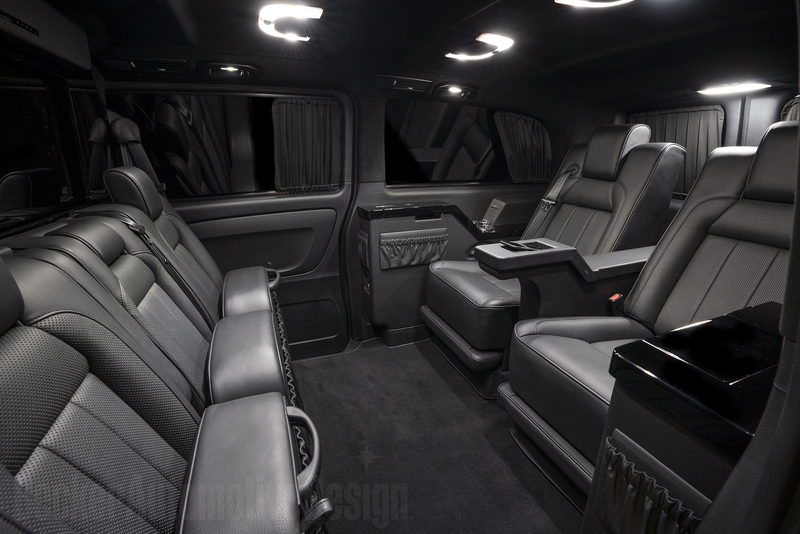 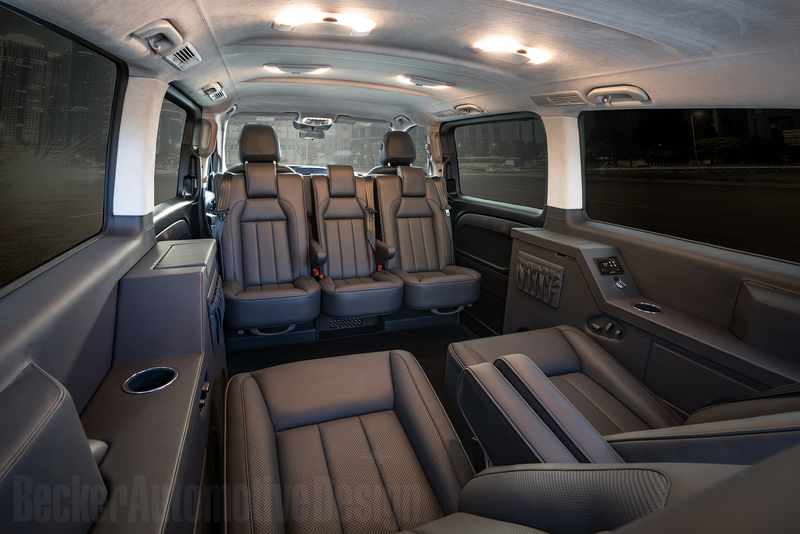 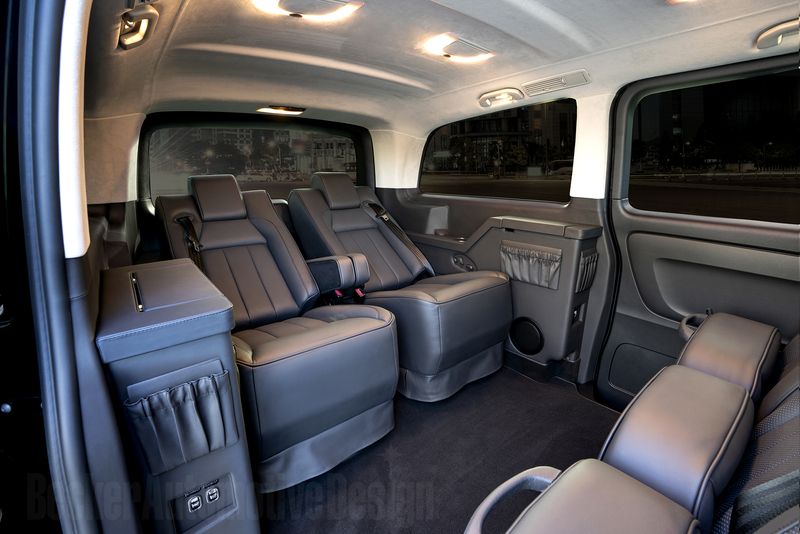 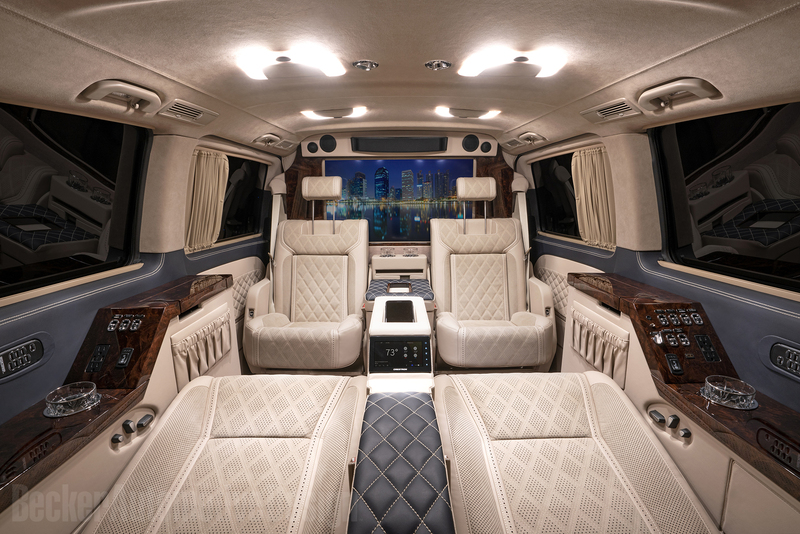 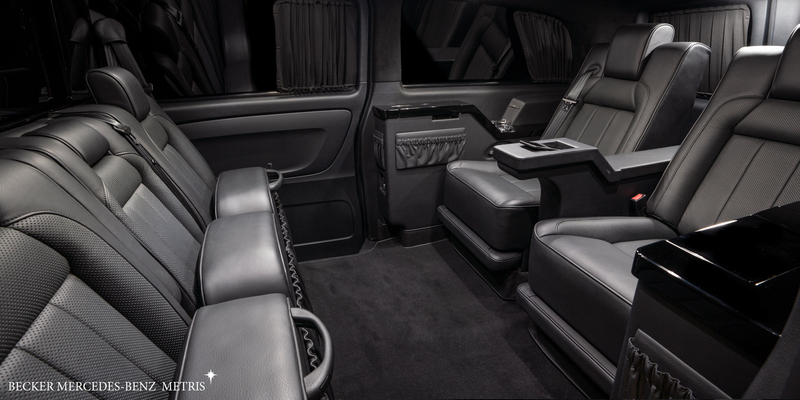 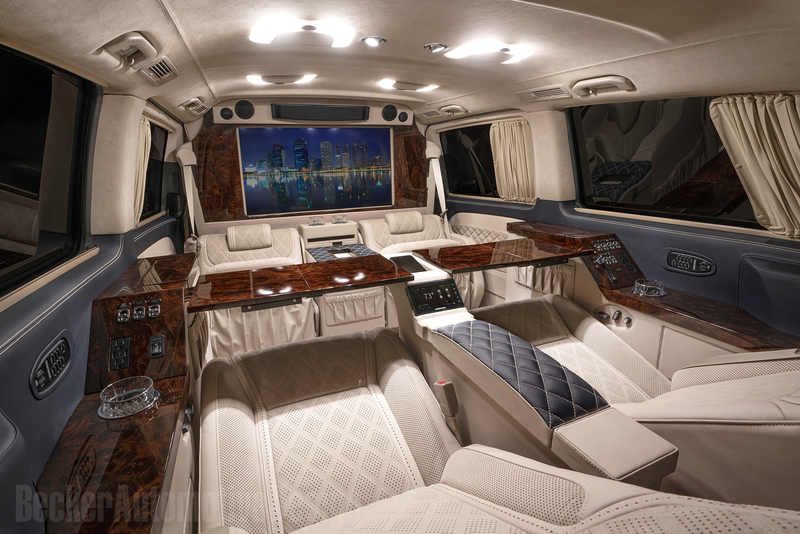 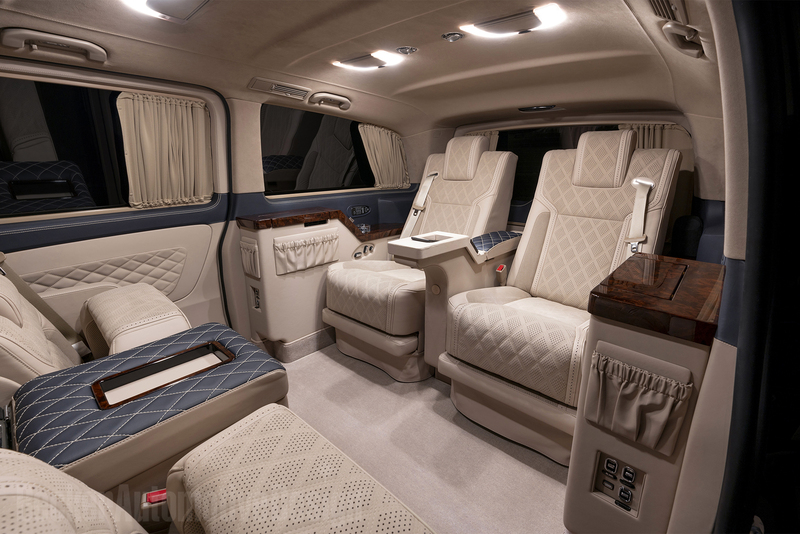 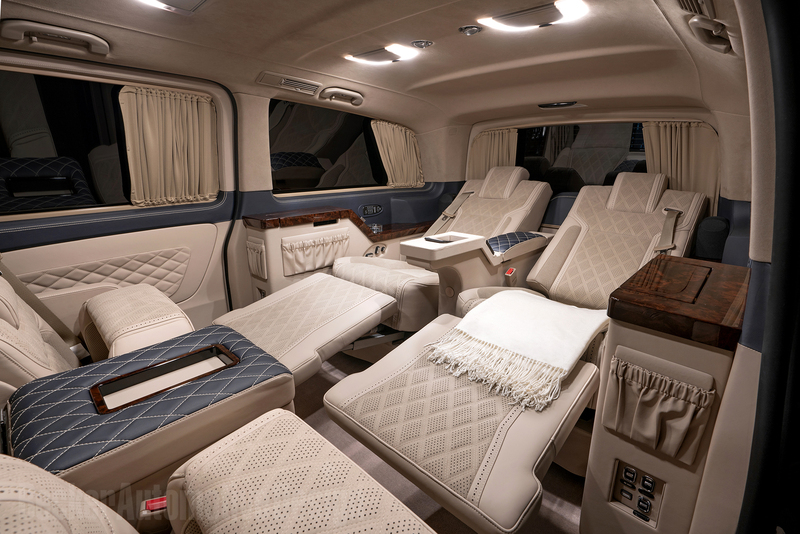 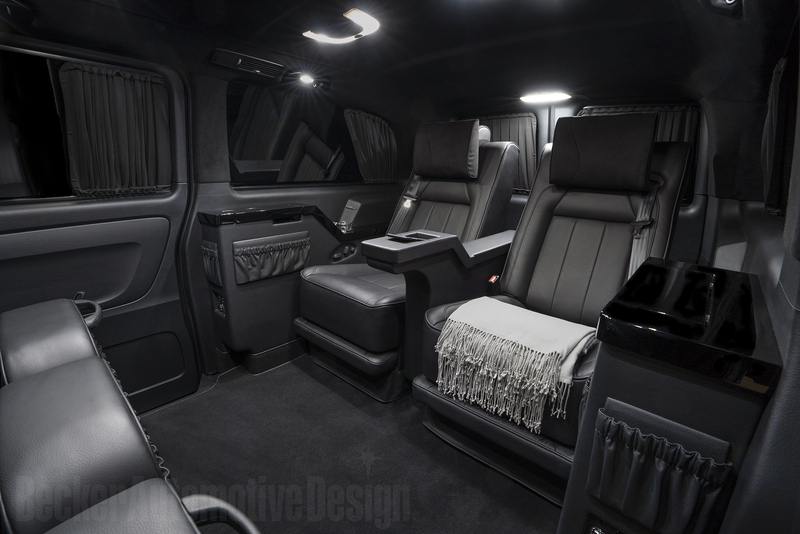 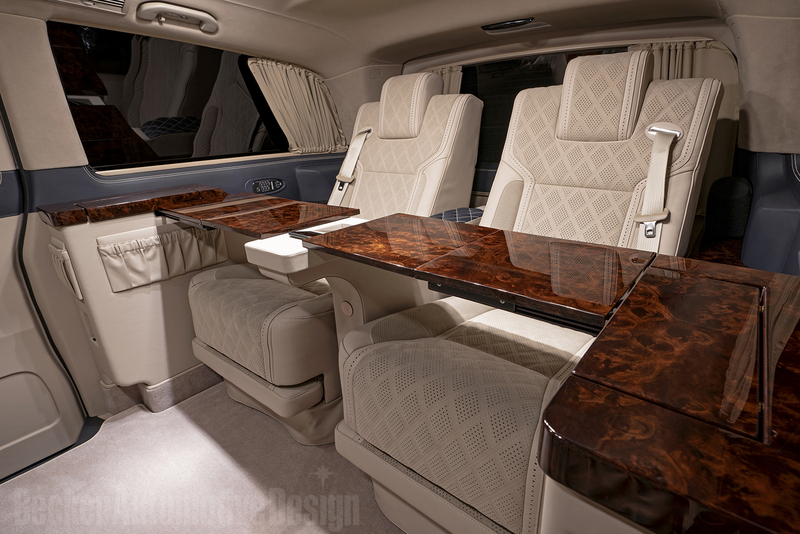 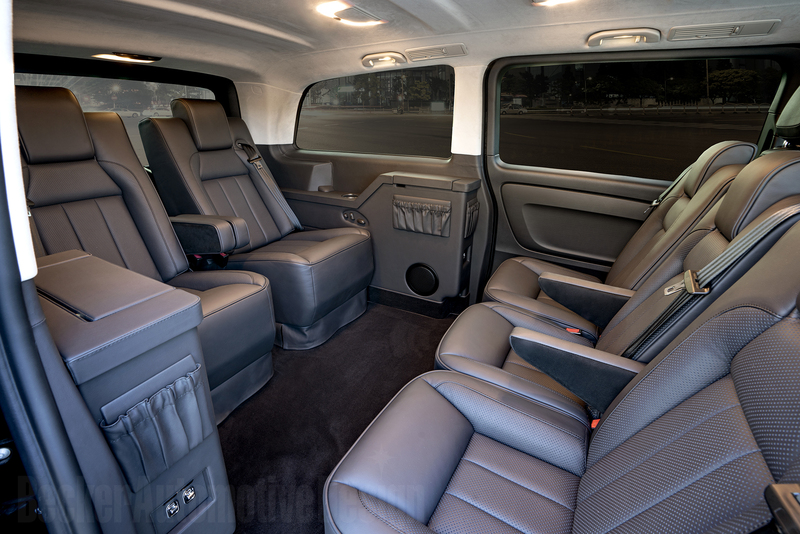 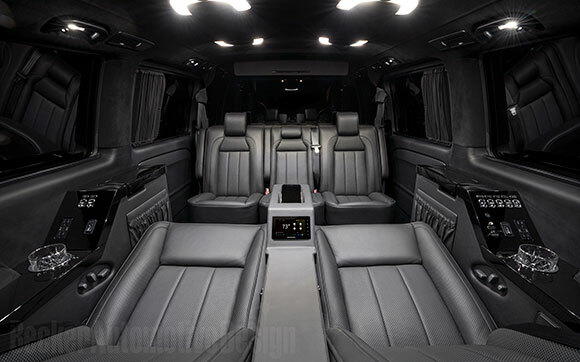 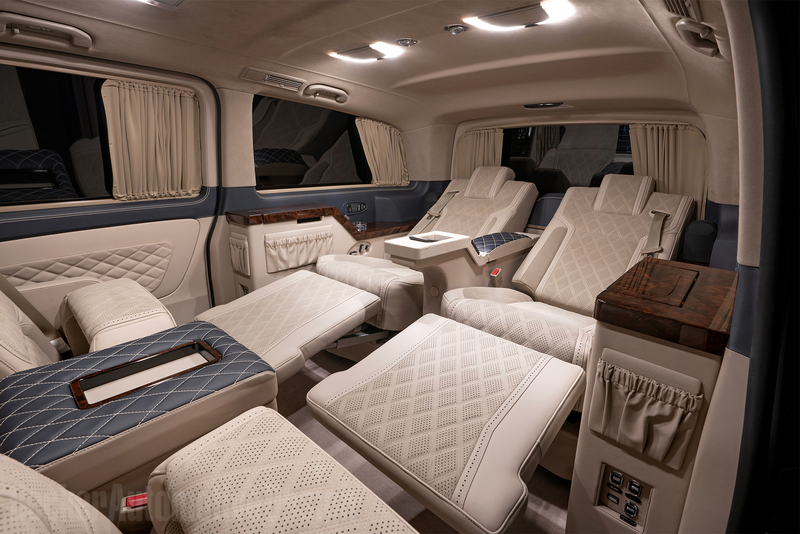 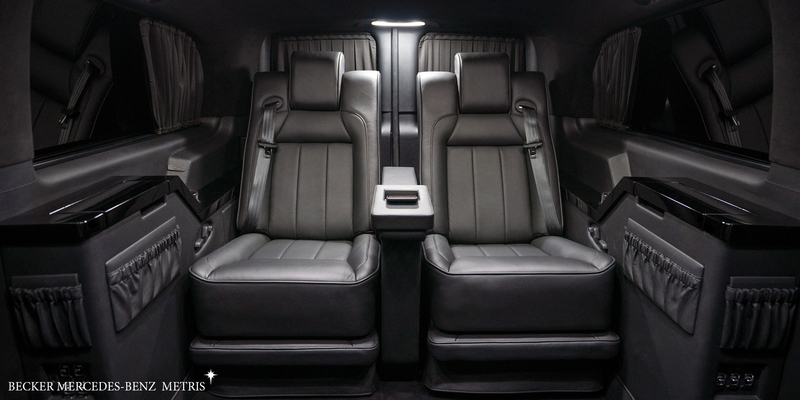 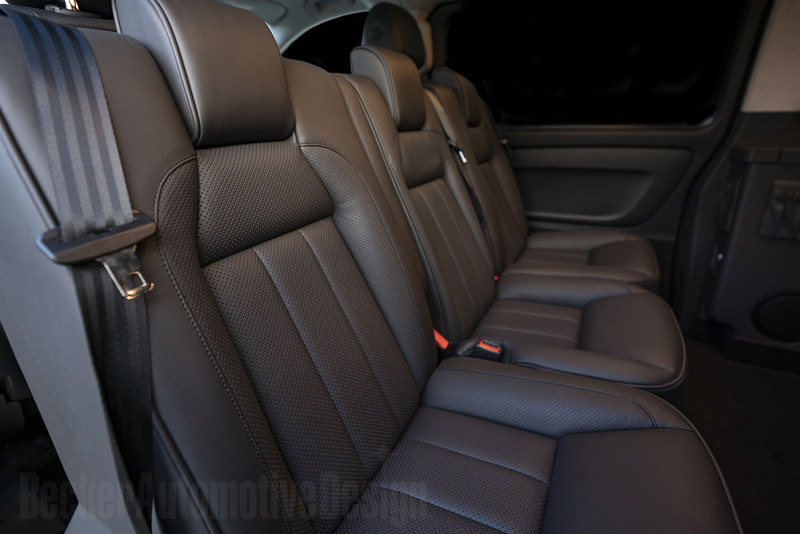 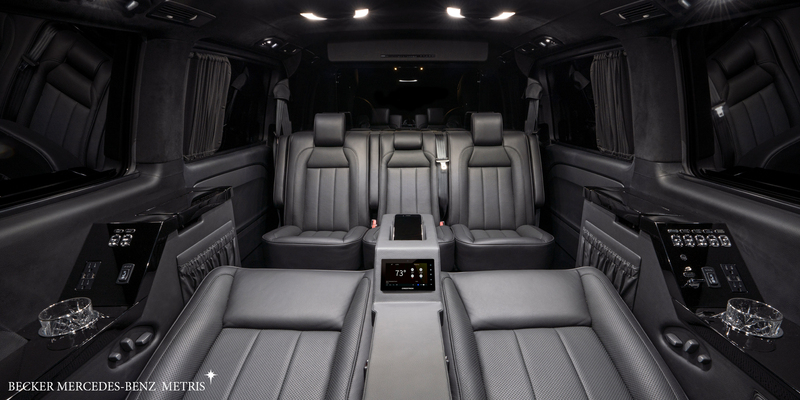 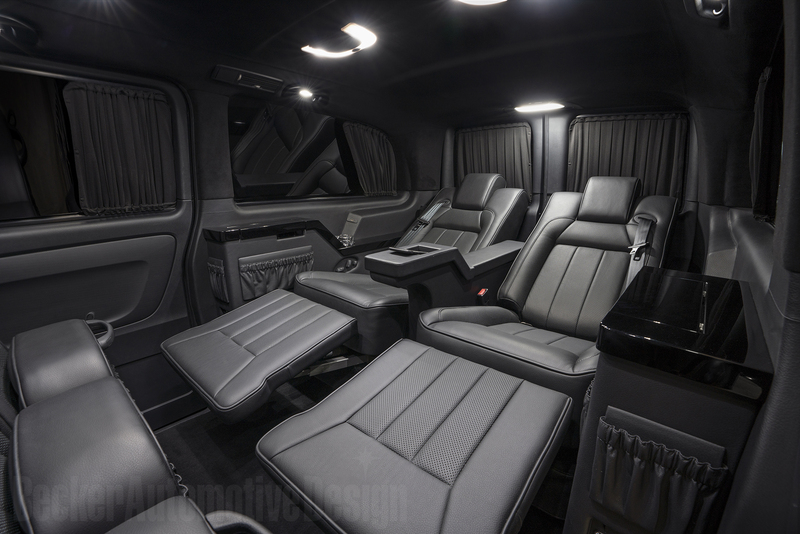 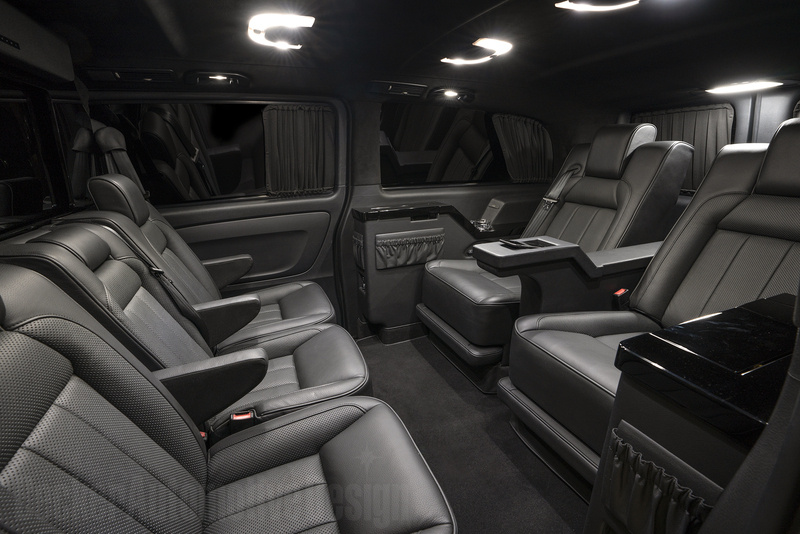 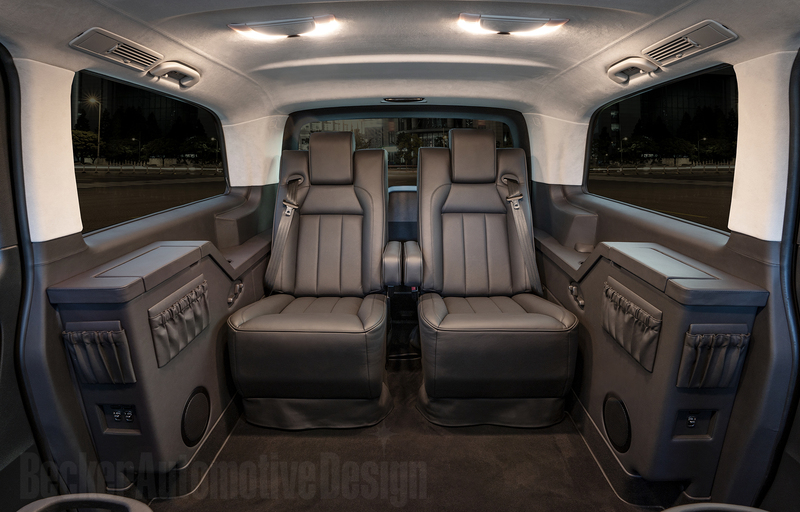 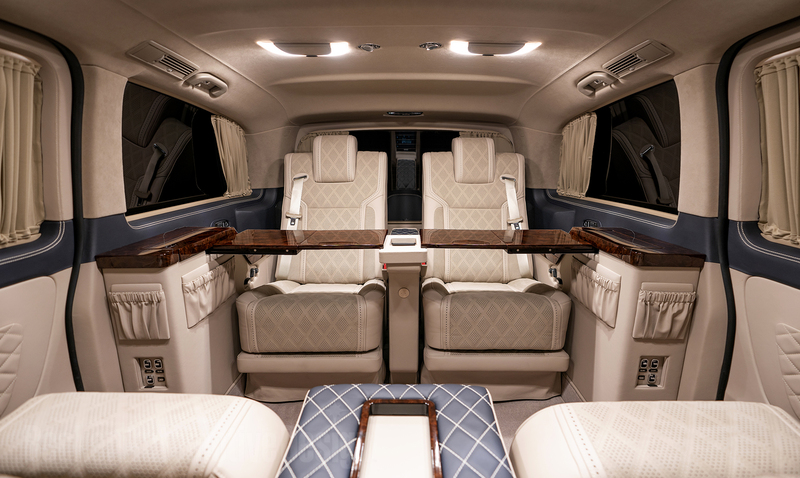 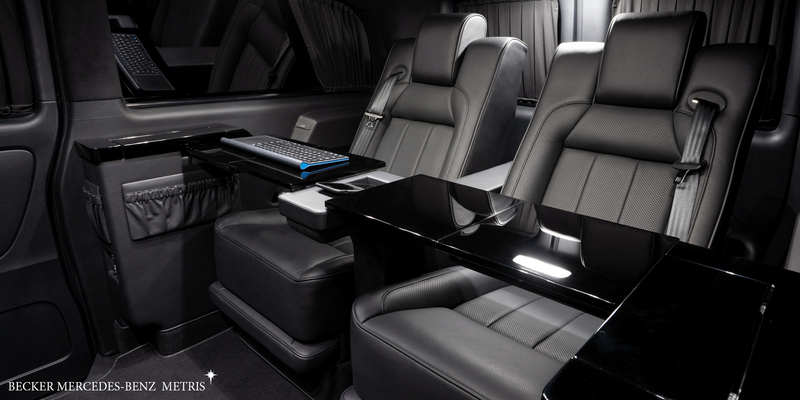 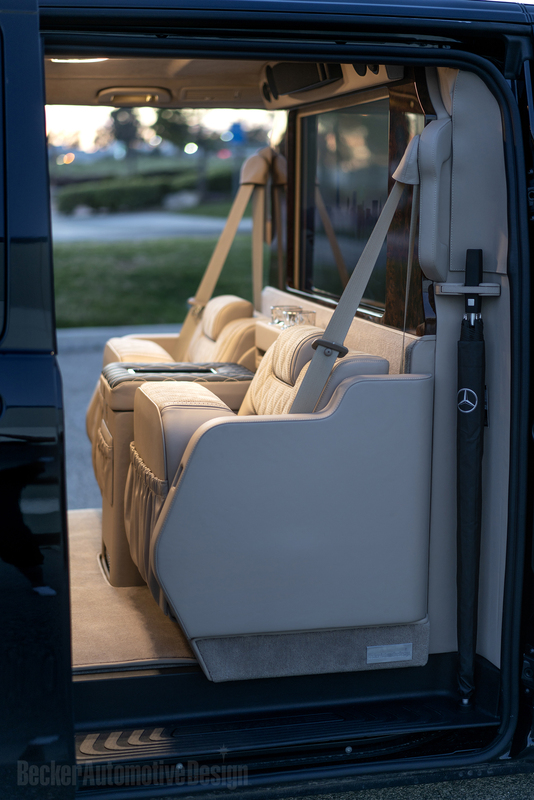 Our luxury hand tailored interior coupled with our rear suspension upgrade provides a wonderful ride for rest and relaxation. 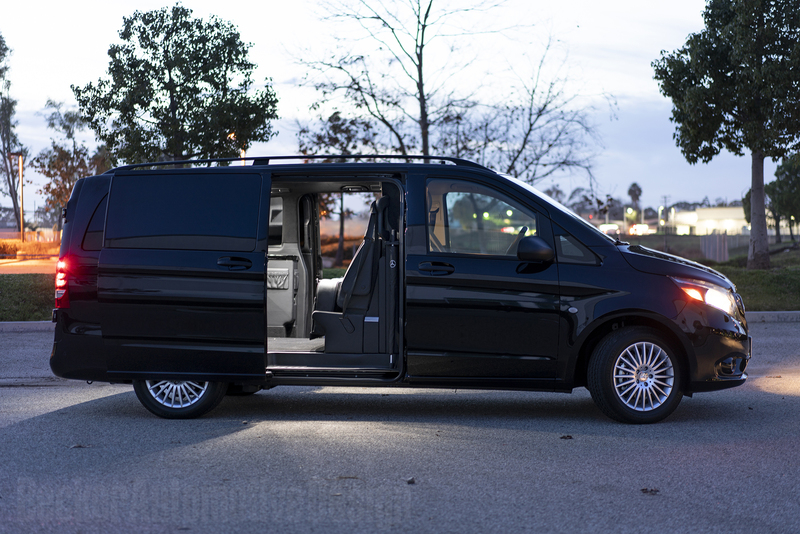 Becker's reliability, safety and quality are world renowned.